Shinjini Das | The Go-Getter Girl! Empowering you with actionable strategies to become go-getters delivered to your inbox once every month go-getters. Thank you for joining The Go-Getter's Club! We are honored to inspire you go-getters! I am excited to be partnering with Intuit to champion small business owners. I interviewed Daymond John at #Inc5000 with Chase, here is what I learned! I love my global go-getters! Here are my upcoming speaking engagements, loves! My advice is to start prioritizing saving today. 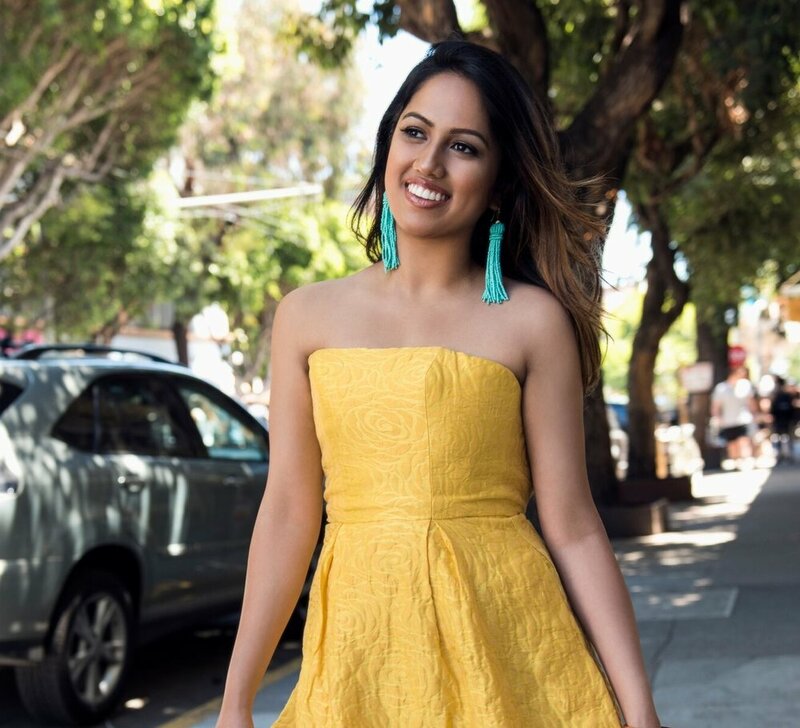 Shinjini is consistently invited to share her uniquely edged insights on global entrepreneurship, the fundamentals of building a business, women's empowerment, diversity, youth empowerment, and lifestyle inspiration for millions internationally! Listen. Do you feel empowered my club of global go-getters? Out now on iTunes, Stitcher, SoundCloud, Google Play, and more! Actionable #GoGetter inspiration for you every month. Shinjini's go-getter energy spreads like wildfire to everyone and anyone who is in her presence. She is globally recognized by millions for her inspirational insights on global entrepreneurship trends, the fundamentals of building businesses, women's empowerment, diversity, youth empowerment, and go-getter lifestyle inspiration! Listen. Do you feel empowered, my go-getters? Go-getters are ambitious and unapologetic. They know what they want, and they do what they need to make it happen. They don’t see obstacles; they see the opportunities in between. What does it take to get to this place of empowerment and confidence? In this keynote, Shinjini Das walks her audiences through the personal and professional steps of becoming a bona fide go-getter. She breaks down how embracing yourself fully and honestly is the first step to commanding, owning, and building your life. Go-getters today have more choices and passions than ever, so how do you choose your calling, identify your purpose, and craft a meaningful life to leave a legacy? The first step is to find your identity. In this keynote, Shinjini Das shows how she has pieced her identity together from around the globe, but it’s taken her time to do so. Shinjini shares with students her own struggles to define herself as an empowered, Asian-American millennial woman. She highlights how to find humor when you inevitably stumble on your path to getting to know yourself. Shinjini knows that you don’t need to be sure; identities morph all the time. However, you do need to try to figure it out. Define “American.” In this keynote, Shinjini acts as a guide through the bumpy landscape of identity in America. Shinjini explains how the shift towards a more colorful America is a shift towards the full embrace of multiple cultures and perspectives around various ideas. Shinjini shows how young people of color are poised to powerfully impact the dialogue around cultural competence in a truly trail-blazing manner. She inspires students to embrace this seismic shift in sustaining the conversation around global diversification. Shinjini’s identity exists in a liminal space, in the paradigms of Asian-American womanhood, and she wants to enable you to discover your own. What type of role are you interested in having Shinjini serve? What area of specialty are you interested in booking? Does your content require any special customization? What is your team's budget in USD to book Shinjini for this commitment? Thank you so much for your passion and enthusiasm to book Shinjini! We will be in touch. Go-getters unite!